Would you like a fursuit/ do you like your fursuit? I personally would like a fursuit, preferably of my own fursona. I do not own one myself, but i am saving money for one in the distant future. I would like a fursuit for several reasons: 1) my school has no mascot. 2) its a way to freely express myself 3) come on! its fun to go fursuiting among the general public 4) attention would be brought to myself. I got a list, but sadly this won't hold every reason. So, do you want a fursuit? If you already have one, do you like it? Merged with the existing fursuit topic. Please search before posting. 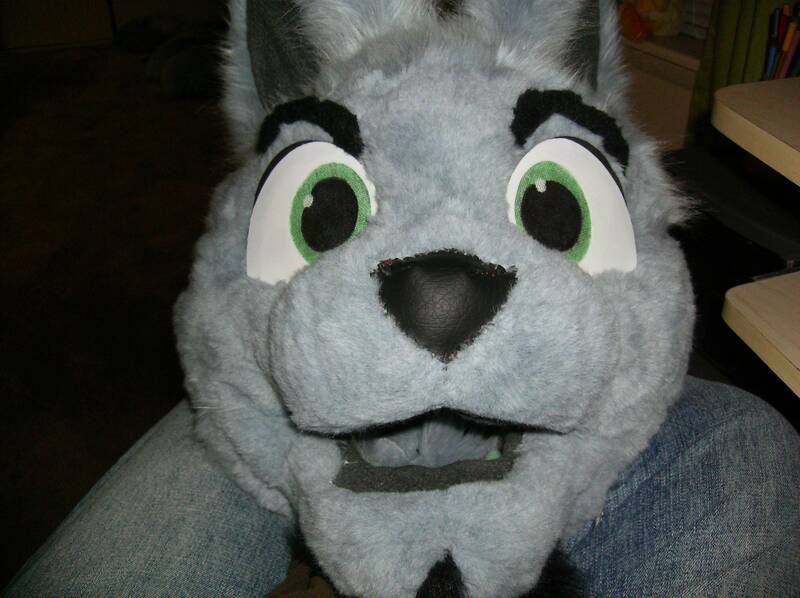 Just recently I got to try on a fursuit head (which I was amazed it fit). It is amazing how much work goes on inside the head. This one had special ventilation areas, and a moving jaw (which as I thought, is activated with the chin). I don't wear one all the time but what about you? I've currently got a few hundred saved for my first 'proffessional' fursuit. When I do get it I will wear it EVERYWHERE. LIKE A COOL KID. I do have a lame puppy head I've made myself though. I'll get around to paws/feet/tail later. I'd post pics but it's not really that great. Fixed, with his new green eyes. yup.... saving $800 for it! imagine my avatar as a fursuit! So, I guess I am not the only one anticipting some MLP-inspired suits? Hind legs are your actual legs, front legs are your arms, with stilts to make up the height difference. Alternately, there are some suits where the legs are folded, and you basically walk on your knees, but they're less common and pretty difficult to use. Umm... what exactly are you trying to ask/say here? I'm getting a partial at first, growing a little taller / thinning out a little, then getting a bodysuit. Please look for threads on existing topics before starting a new thread. This is the second new thread you've started that should've been a post in an existing topic. If all goes as planned, I am going to be picking up my partial on Saturday!